Tomorrow morning Tokyo! 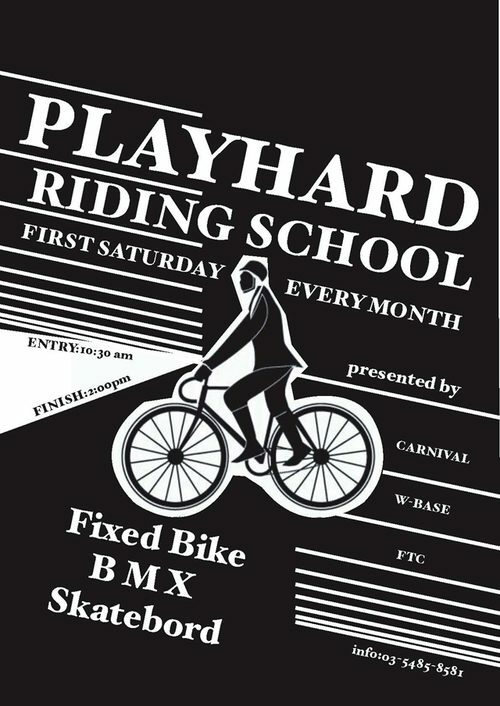 The first Saturday of every month is the Playhard Riding School in Tokyo. I’m guessing the location changes every month, since there’s not one given. The rough translation from Carnival’s blog says something to the effect of “meet at W-Base at 10:30 – 11am”. Polo, freestyle, whatever. Come one come all. I think I’ll actually be in Tokyo for the next one. Stoked to see everyone.